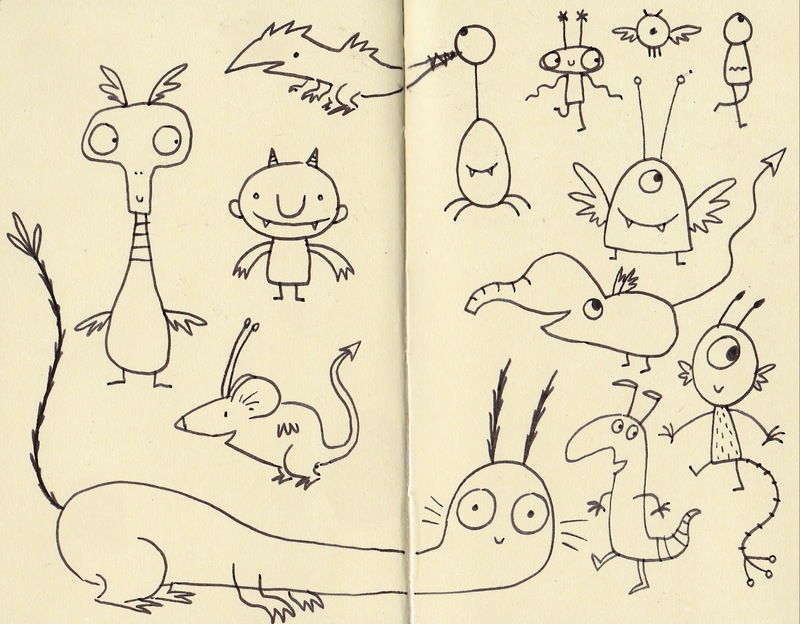 These are some of my doodles from the week. 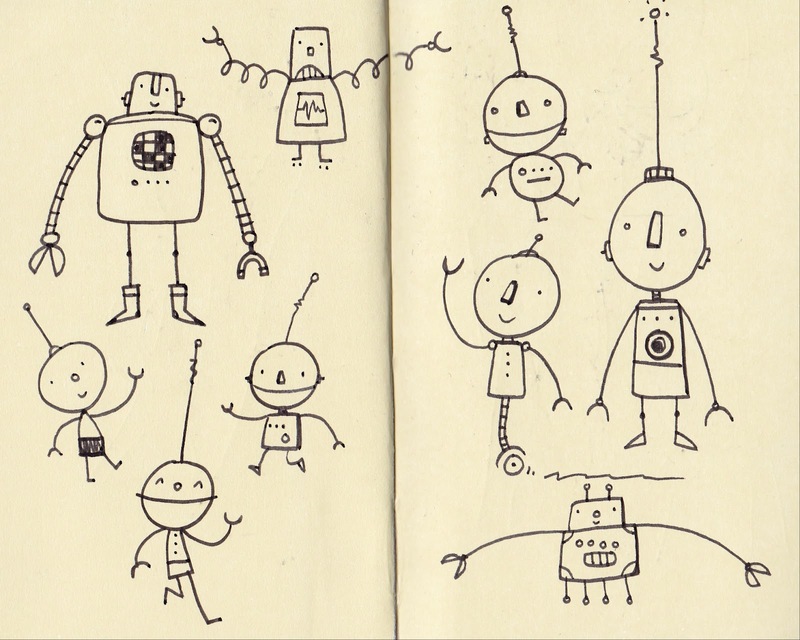 If only I could come up with a story about robots AND monsters. I would love to illustrate such a book!